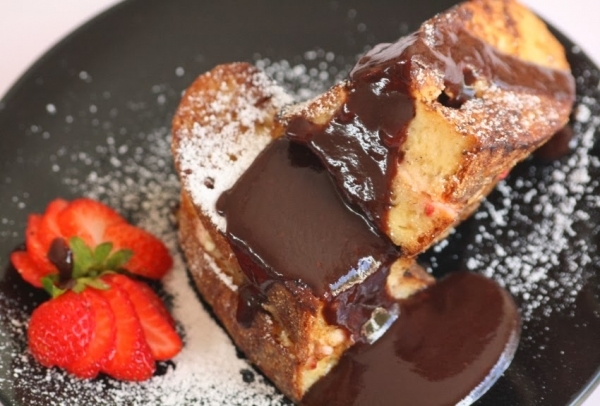 Strawberries and Cream Stuffed French Toast With Chocolate Sauce MUST TRY!! 1. In a mixing bowl whisk together the milk, flour, 1 tablespoon of sugar and the eggs. Set aside. 2. Roughly chop the cream cheese and place it in your food processor along with the vanilla extract. Sift the superfine sugar over the top. Blend until smooth.